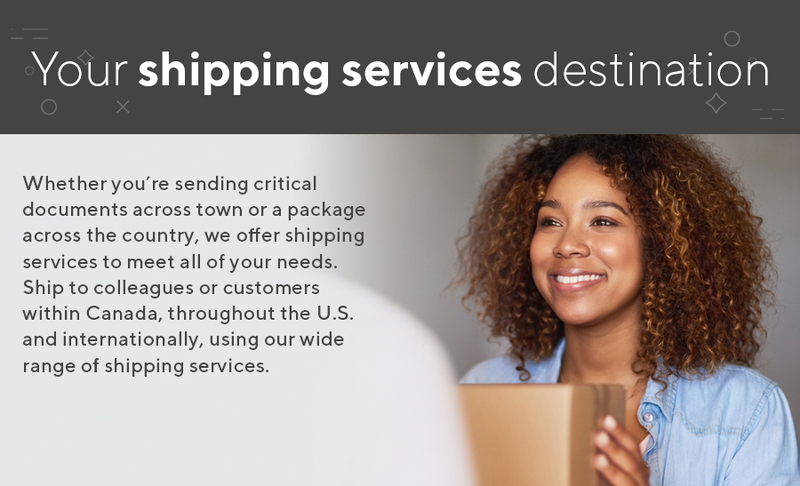 Purolator offers a variety of options for time-sensitive deliveries and ships to 210 countries. Choose the service that makes sense for your business. We take care of everything you need to grow your business with FedEx Ground & FedEx Express service at our shipping centres. FedEx Express® packages can also be dropped off at your local Staples & Bureau En Gros locations across Canada. Fast shipping, guaranteed. Track your documents and packages as they travel. Buy your stamps and prepaid envelopes in our stores, then drop your mail in the Canada Post box on your way out. That's Staples convenience with Canada Post reliability.